Amazingly when you look around the four corners of some municipalities there seems to be much improvement with the new businesses moving in and facade improvements being done to the existing structures. What we, EOCDC (Soon to be “Horizon of Hope of the Oranges, A Family Care Center”) have noticed are the vacant lots throughout both cities (East Orange/Orange). We have approached both cities with a request to use the city owned vacant lots and turn them into “community gardens”. 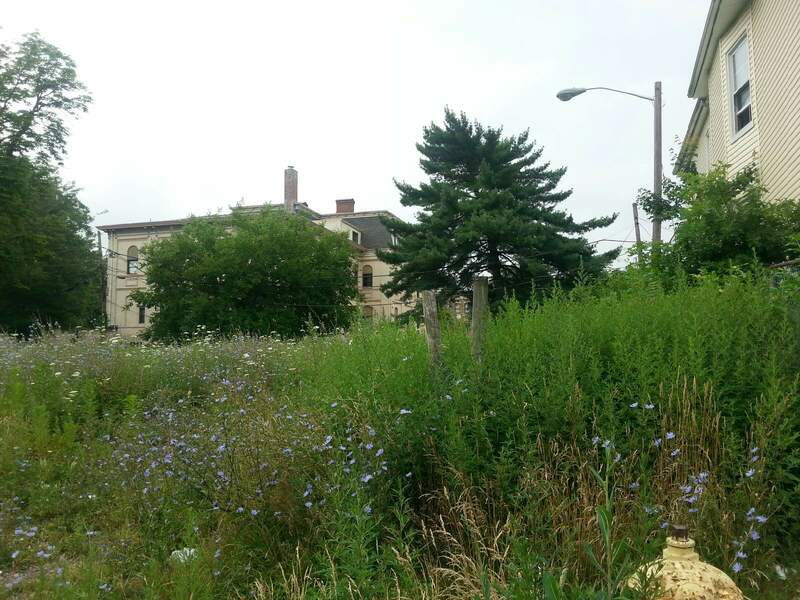 East Orange has committed to two of their vacant lots and we are still awaiting a response from Orange. We will begin with a small lot located on Ashland Avenue to start our “Community Garden” that involved the immediate community as well as our nutrition class students in the clean-up process. Everyone is so excited that they have begun tilling and plowing the area; collecting their seedlings (vegetables and fruit) and reaching out for fertilizer donations. Pics show the before condition of the lot. We will be sharing our before and after photos with you in the next couple of blogs. 8 Weeks went by sooooo fast…..we did it!!!!! 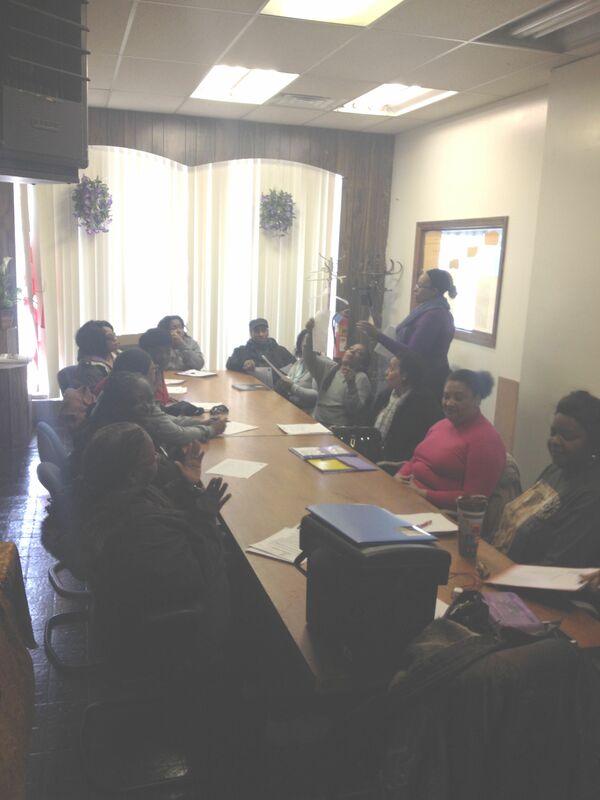 May 20th marked the 8th week of the Nutrition Education Class!! Everyone was so excited as they prepared their personal nutritional meal for the class; exchanged recipes and telephone numbers and marked their calendars to meet at the park for weekly power walks. 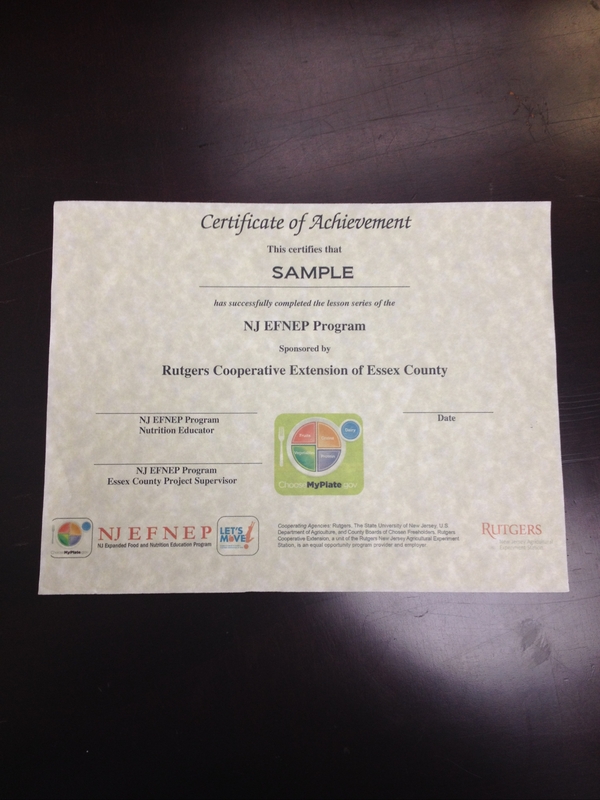 The meals were delicious and the class utilized some of the fresh vegetables and fruit they received from East Orange Community Development Corp.
All of the participants were ectastic to receive their Rutgers EFNEP Cerification at the end of the class (see pictures). Enjoy your summer and remember “Fun, Food and Fitness go hand and hand.!! 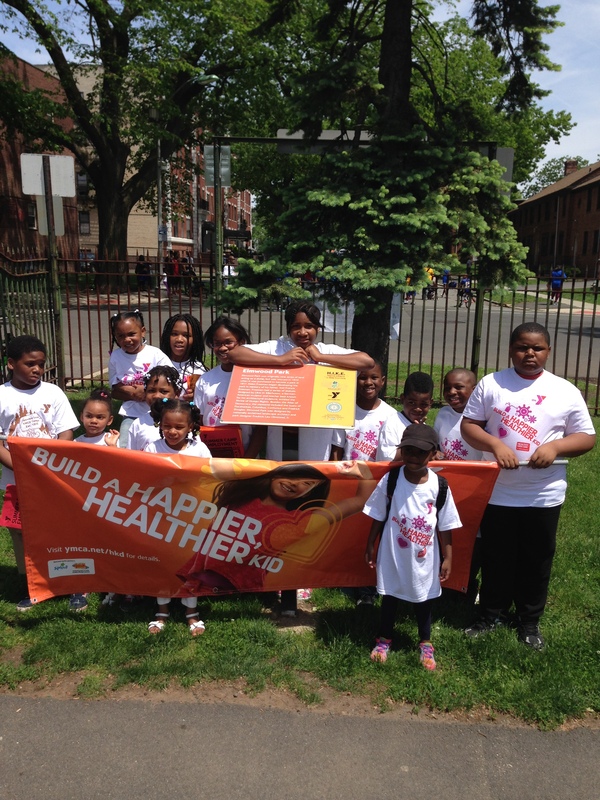 Living Healthy…..Adding……..Here’s to Healthy Kids!! As East Orange CDC is coming into the last weeks of the eight (8) week Nutrition Classes we are so proud of how well the participants and their families are doing with the healthy eating and healthy food preparation. All of the participants have lost 5-10 pounds thus far and are ecstatic! Imagine their thrill to learn EOCDChas reached out to the local YMWCA’s to include their children and our participants in fitness classes and activities as a part of this initiative. They are also excited that all of their eligible children (ages 6-12) of our Nutrition Class participants will also be enrolled in our Summer Enrichment Program beginning in July for 6 weeks. The factors that helped EOCDC in preparing for and completing this project were, and in no particular order, the health benefits provided in making healthy eating choices; education in how to prepare and eat healthy foods and why exercise and healthy eating combined are important tools to shaping a healthy you. There are no challenges! Everyone is open to being the best they can be! Our partnerships with the local farmers markets and gardens, CFBNJ and Supermarkets as well as the other organizations and health groups we have had the pleasure of meeting through this grant have been a great help and wonderful resources. Springing Into Action…..Nutrition Classes Are On Again!!! After a long long cold winter right into the month of March, East Orange/Orange CDC is glad to announce the Nutrition Classes are on again! Our Nutrition Classes in partnership with Rutgers University’s Expanded Food and Nutrition Education Program (EFNEP) began on Wednesday, April 1st. 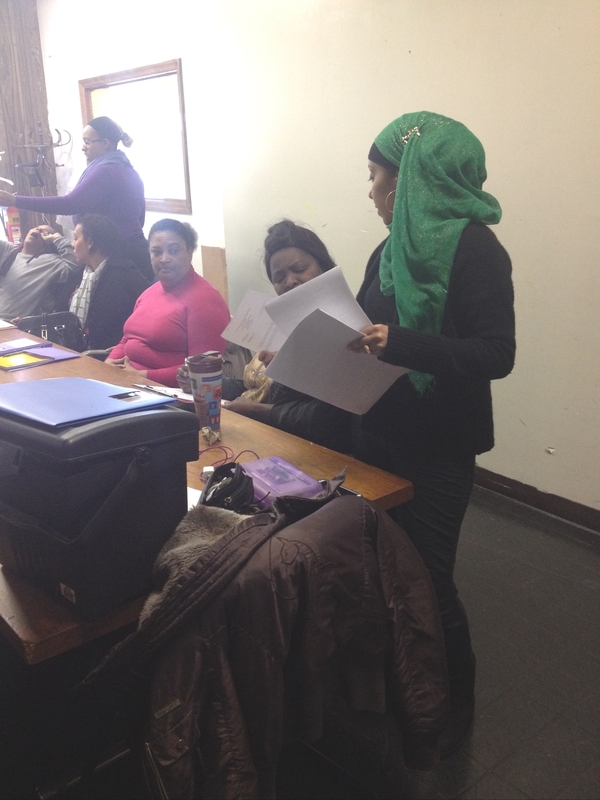 Each participant (21 for this session) receives a bag of fresh produce (vegetables and fruits) after each class. 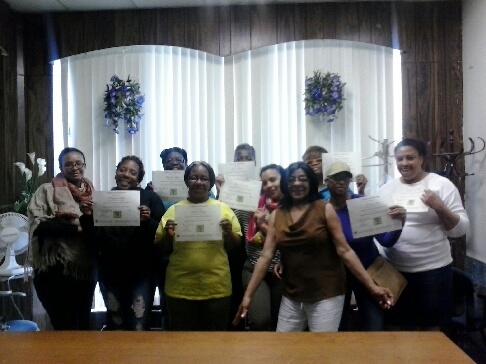 There are 8 classes afterwhich the participants receive a Certificate of Achievement in Nutrition, healthy eating and food prepration. (www.njaes.rutgers.edu) Our partners in nutrition also include Community Food Bank of NJ (www.cfbnj.org), Catholic Charities (www.ccanj.com) and Oaisis Urban Farm (www.OASISUrbanFarm.com). Together we are helping to change how you make food choices through nutritionally sound diets, personal development and the improvement of the total family diet and nutritional well-being. 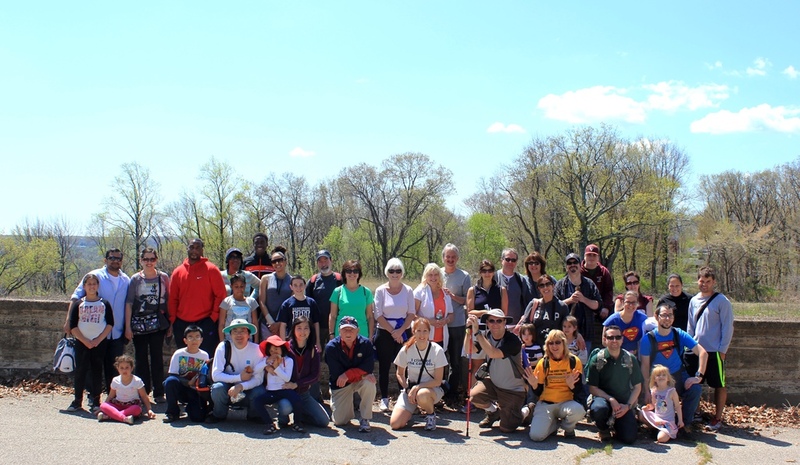 Our volunteers are not only our participants in the program but community conscious residents. Members of our Board of Trustees and staff have been and are currently active in the classes. Our key community decision makers are the community-at-large through a Community Needs Assessment initiated by-yearly. East Orange may not be at the foot hills of the Appalachian Trails. We may not be in the Smokey Mountains, but we have our very own Trail. We have the East Orange Historic trail. This is a Historic trail around the city of East Orange that residents can H.I.K.E. (Healthy Initiative to Keep Exercising). We currently have ten sites around the city that have been identified as Historic sites. One of which is now the East Orange Court House, once the main library which opened in 1903 thanks to a generous donation by Andrew Carnegie. Another shown in the photo is Elmwood Park. In 1917 a gentleman, Alden Freeman, began developing the park in memory of his father, Joel Francis Freeman. 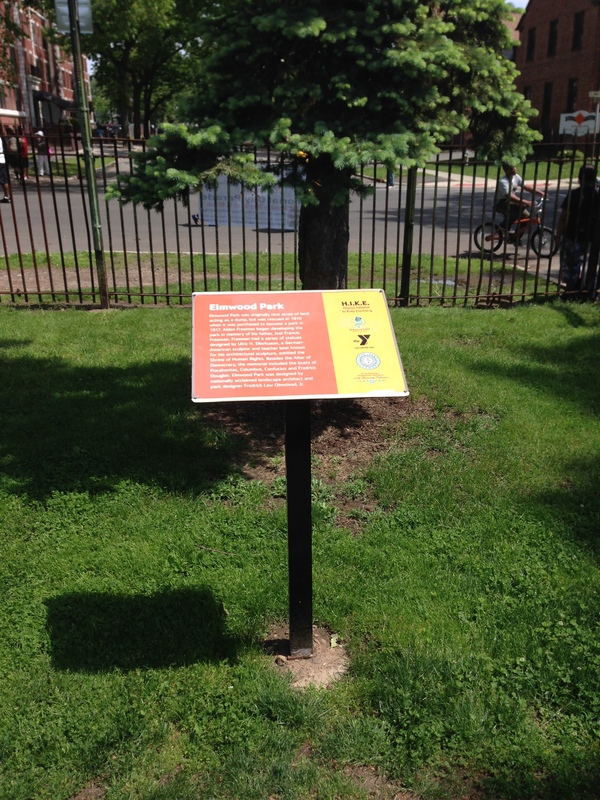 The park was designed by nationally acclaimed landscape architect and park designer Fredrick Law Olmstead Jr.
Our residents can get their exercise and learn about the history of this great city as they walk the Trail.